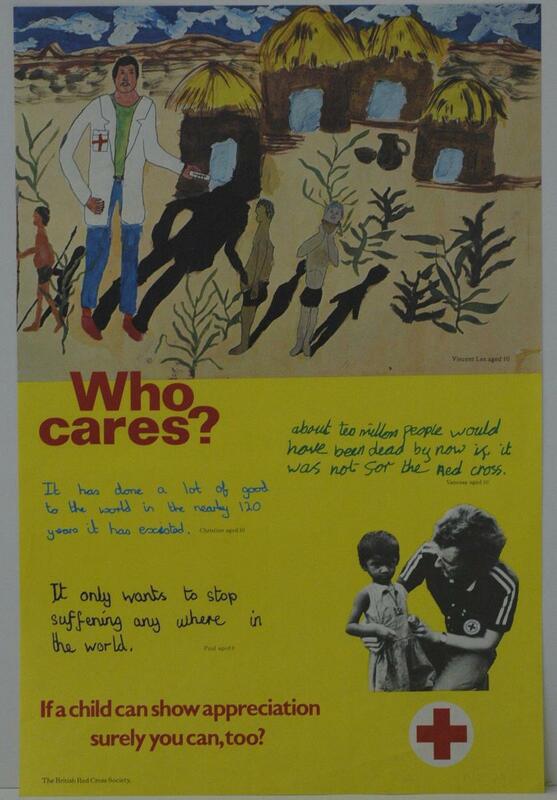 Poster: British Red Cross 'Who Cares?' 'If a child can show appreciation surely you can, too?' with examples of children's writing and a child's painting. Poster: BRCS 'Who Cares?' 'If a child can show appreciation surely you can, too?' with examples of children's writing and a child's painting.